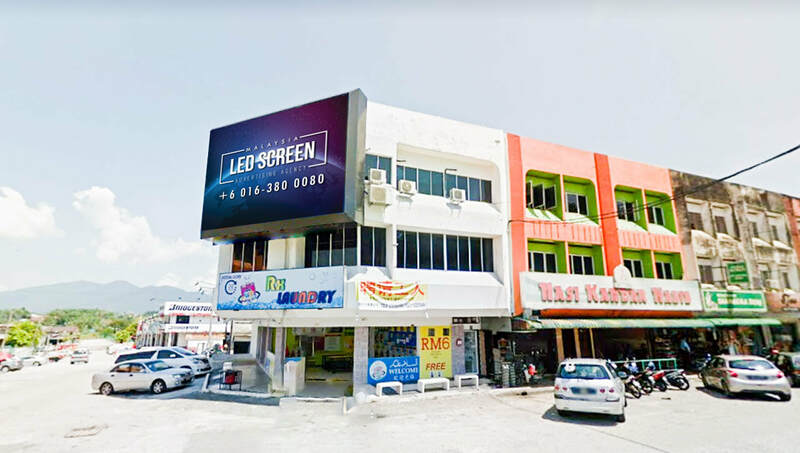 The LED screen is installed on a building near Jalan Kuala Kangsar crossroads. 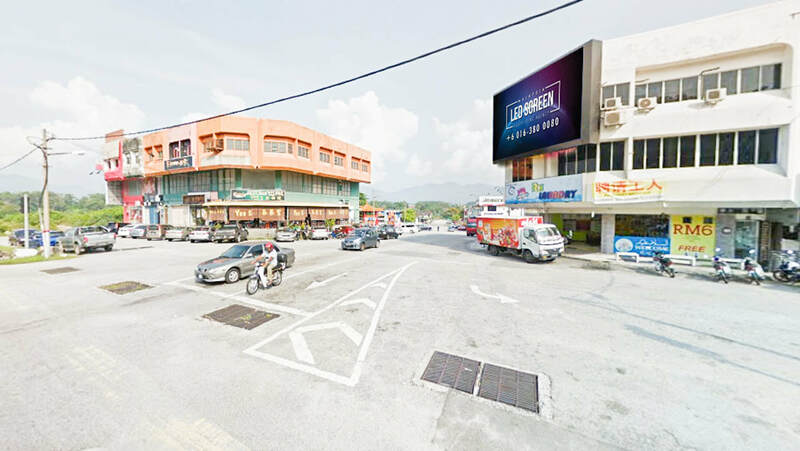 Passerby can view the LED screen that travels from the South of Jalan Kuala Kangsar. 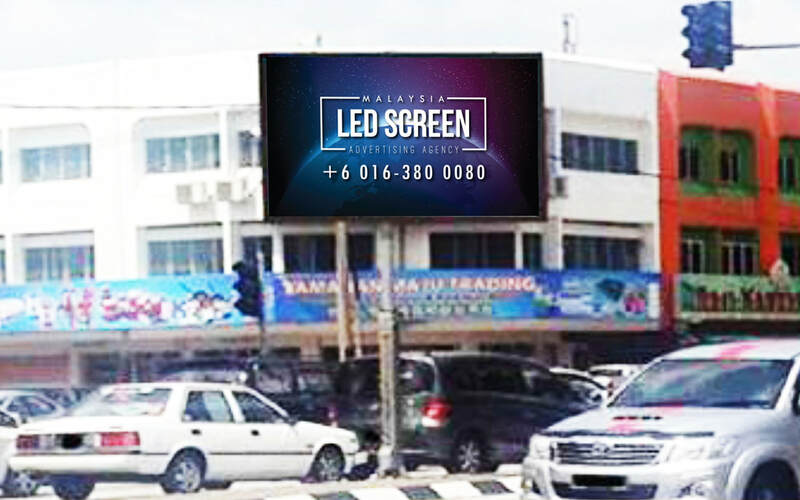 The vivid display of the LED screen able to capture the attention of motorcyclist and drivers that pass by Jalan Kuala Kangsar. LED screen advertising helps businesses to convey their product and brand messages to target audience. LED screen is bound to gain attention from passerby. Furthermore, LED screens allows businesses to reach a large number of audience as well as attract a wide range of potential customers. 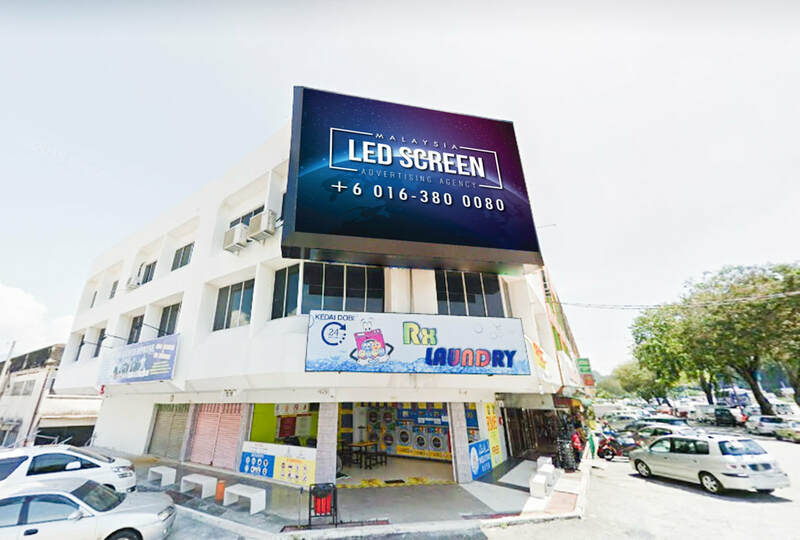 The LED screen is located approximately 5.5 kilometres from Ipoh Parade and 11.3 kilometres away from Lost World of Tambun. It is an approximate 5 km drive from Ipoh Toll Plaza North South Bound. 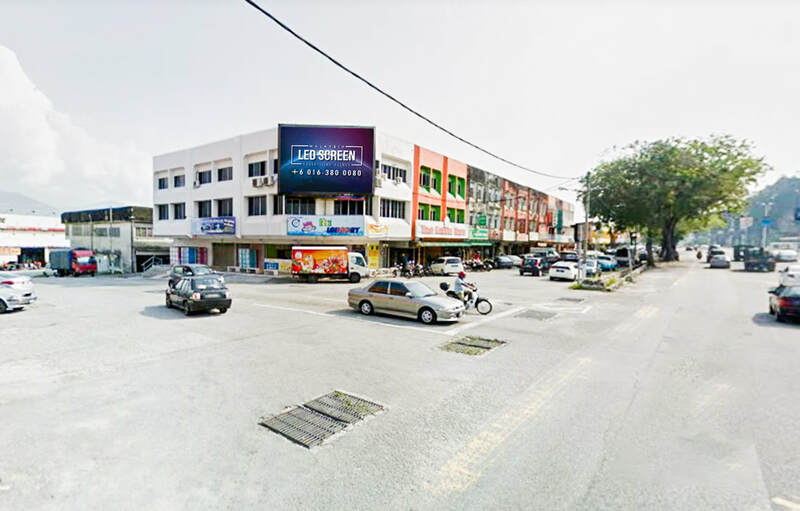 Ipoh is the capital city of Perak, Malaysia. 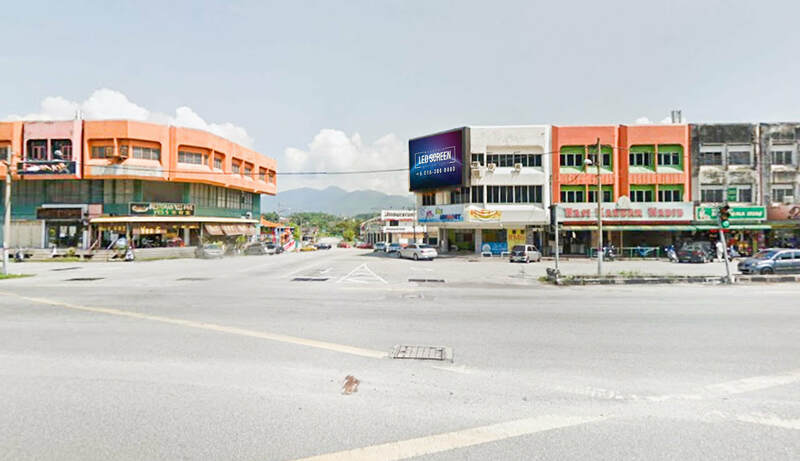 Ipoh grew rapidly in recent years and has become a place for tourist destination. Ipoh is famous for its delicious food and attractions like caves as well as limestone hills. Ipoh is also famous for its mural art such as Old Uncle with Coffee Cup, Paper Plane, Hummingbird and more! 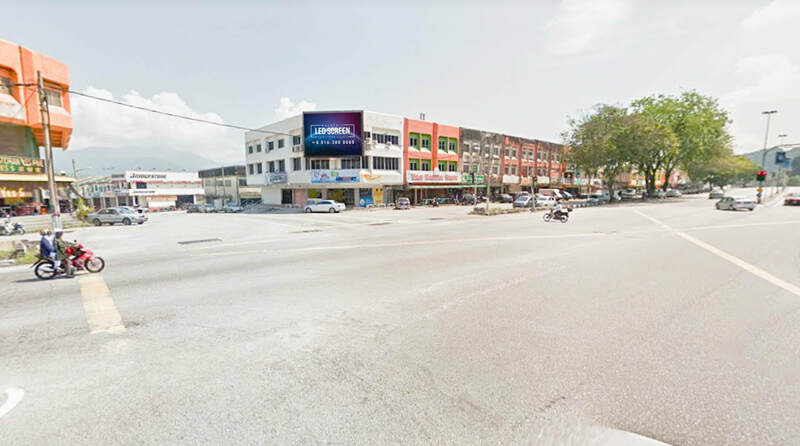 Ipoh is surely an awesome destination for tourist and the LED screen is easily spotted as it is near to the highway.